Thailand is a country in Southeast Asia, which is also referred to as the Kingdom of Thailand. Thailand used to be called Siam. It is geographically located on the Indochina peninsula. Thailand is ruled by a monarchy while its government is ruled by a military junta since May 2014. In terms of land area, Thailand is 51st in the world while it is ranked 20th in terms of population (around 66 million in population). 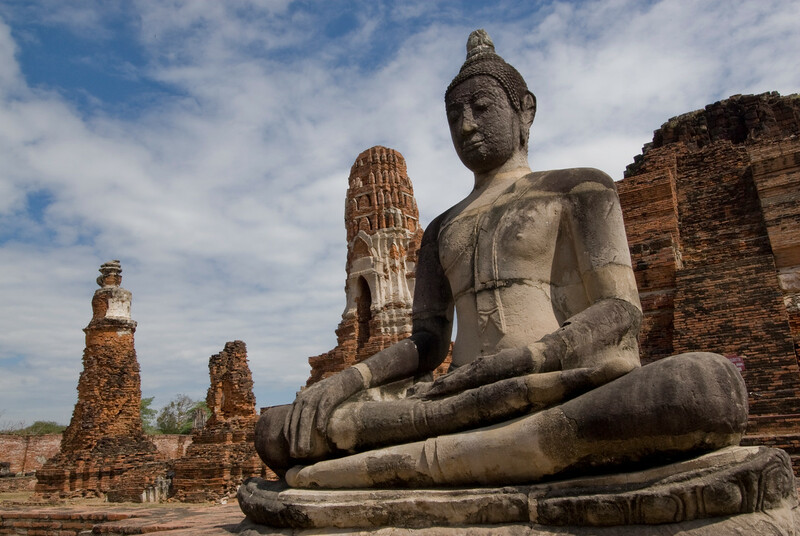 Buddhism is the primary religion in Thailand with over 95% of the population practicing this religion. 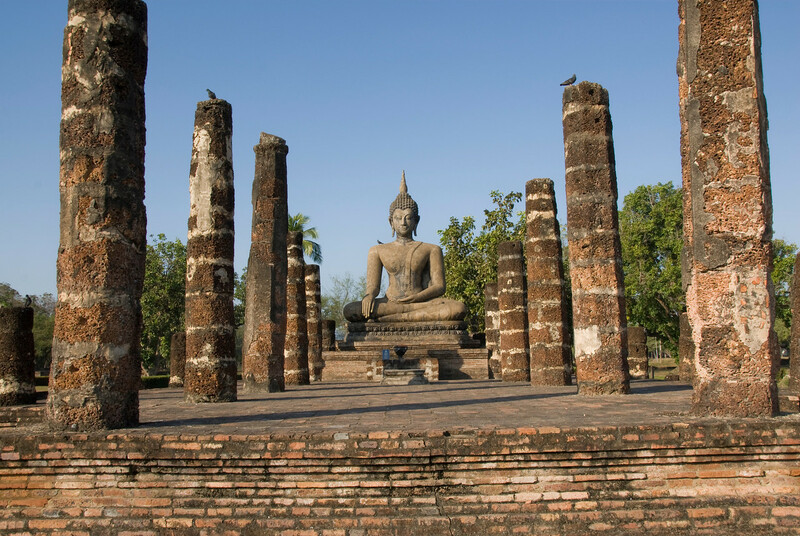 This is quickly evident for those who travel to Thailand due to a number of Buddhist temples in the country. Thailand is a newly industrialized country which boomed in 1985 wherein it experienced a steady growth until 1996. Among the top pillars of the country’s economy are agriculture, tourism, and manufacturing. Among the ASEAN countries, Thailand ranks 2nd in terms of the quality of life. Official Language: Thai is the official language of Thailand. Airport/s: The Suvarnabhumi Airport or Bangkok International Airport (BKK) is the main hub for international flights (and domestic too) to and from Thailand. Wi-Fi Availability: There are a few places in Thailand wherein you can get free WiFi access, such as in coffee shops, hotels, and resorts. There are also a number of internet shops in Thailand. The government has recently been working on a new project to introduce free Wi-FI in the country to boost its image as a digital hub in Asia. Visa Required: The protocol employed as far as visa is concerned in Thailand varies according to your nationality. However, most countries do not need a visa to travel to Thailand – simply a return ticket and a valid passport for the entire duration of their stay. Driving: In Thailand, you must drive on the left side of the road. International Driver’s License Accepted? To drive in Thailand, you can use your international driving license. A foreign license is not honored in Thailand. Crime: The crime rate in Bangkok or other top cities in Thailand is relatively lower than most other US cities. However, opportunity crimes such as snatching, pick-pocketing or burglary can arise from time to time. Be cautious when walking in crowded areas of the city. Electrical Adapters: If you are traveling from the US, you need to bring a plug adapter and voltage converter. Electrical sockets in Thailand are powered by 220 volts. 1. Pad Thai – This is the most popular of all Thai dishes. There are an infinite number of variations to this popular dish which makes it even more exciting. A standard recipe includes noodles, tofu, bean sprouts, and a host of other fresh and fragrant herbs. 2. Kuay Tiew – This is another noodle-based recipe popular in Thailand. It makes use of thin and broad noodles served up in a broth along with various choices of meat like duck, chicken, beef, or seafood. 3. Tom Yam Goong – This is another soup dish that is popular in Thailand mainly because it features fragrant herbs native to the country. This spicy hot and sour soup is seasoned with chili, lemongrass, lime leaves, shallots, and galangal. 4. Kao Phad – Like most other Asian countries, rice is a staple in Thailand. This dish takes rice to another level by stir frying it with various ingredients like meat (chicken or shrimp) together with egg, garlic, onion, shallots, and tomatoes. 5. Green Curry Chicken – Curry is a popular type of seasoning in Thai dishes, as well as some other Asian cuisine. However, this one earns its distinction for using green curry paste. This dish packs a lot of flavor and aroma – definitely not holding anything back. 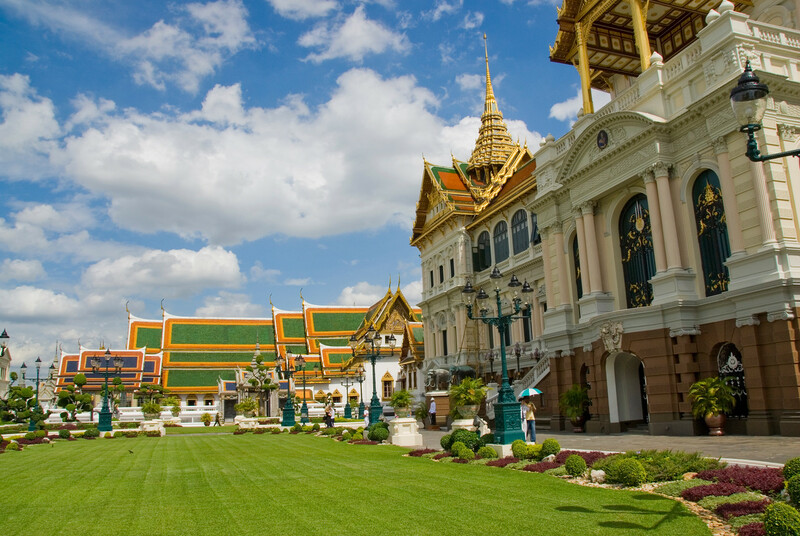 Grand Palace – This is the official residence of the King of Thailand. It is a complex made up of several buildings. Wat Phra Kaew – This is the most sacred Buddhist temple in Thailand. In addition, the temple is recognized as the religio-political symbol of the country. Wat Pho – This is another notable Buddhist temple in Thailand, which is located in the Phra Nakhon district. You can find it adjacent to the Grand Palace in Bangkok. Koh Samui – This is one of the most famous islands in Thailand frequented by tourists. 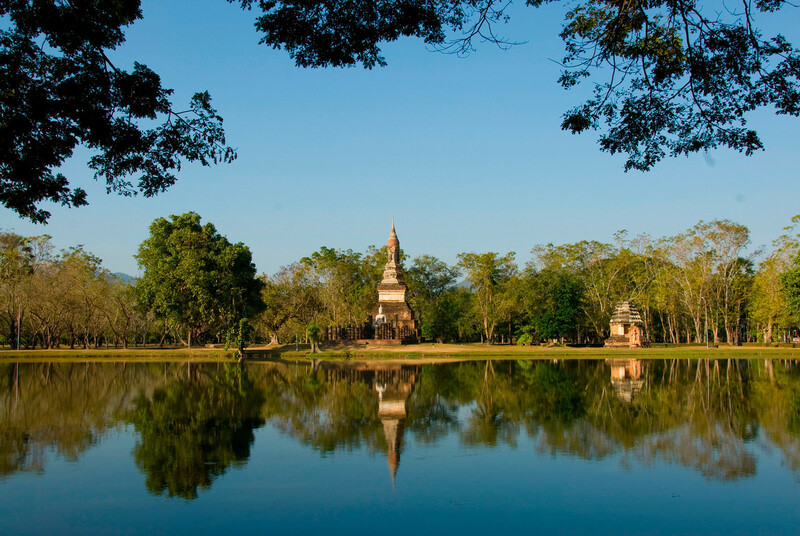 It is famous for its palm-fringed beaches and coconut groves near dense rainforests. Aside from the gorgeous beaches, Koh Samui features a vibrant nightlife scene. I lived 5 months in Thailand and I loved it! I just created my travel blog and I will soon write about those 5 months!